How Does T5rx Testosterone Booster work? 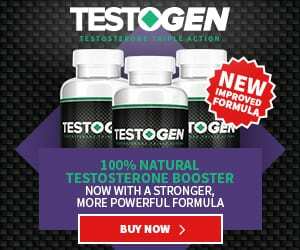 Should you buy T5rx Testosterone Booster? T5RX Testosterone Booster is a male enhancement supplement. The label of T5rx Testosterone Booster is lacking in information as far as the ingredients and the amounts of each ingredient. T5RX contain vitamins, minerals, and herbal extracts that are popular in many testosterone boosters. It is marketed for bodybuilders who want to boost their T to increase workout performance and muscle mass. Declining testosterone is a threat to physical abilities and performance, and T5rx claims to annihilate this problem. Unfortunately, we don’t know enough about the supplement’s ingredients, dosage, or its manufacturer. Information on it is limited, which makes us hesitant in recommending it. I got a bottle from a friend, how did it get pass the FDA?